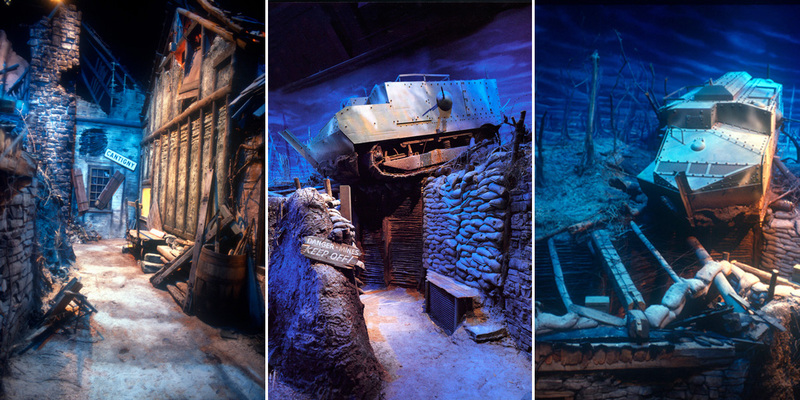 U.S. Army First Division Museum at Cantigny | André & Associates Interpretation and Design Ltd.
10,850 sq. ft. / 734 sq. 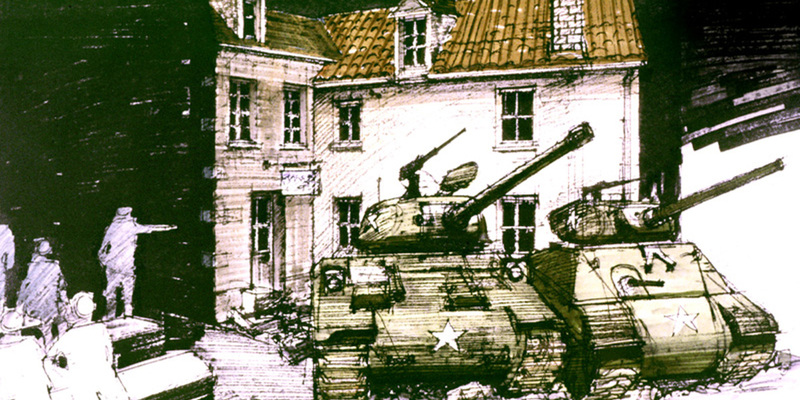 m.
The first overseas tank battle and U.S. victory during WWI took place in the French village of Cantigny. 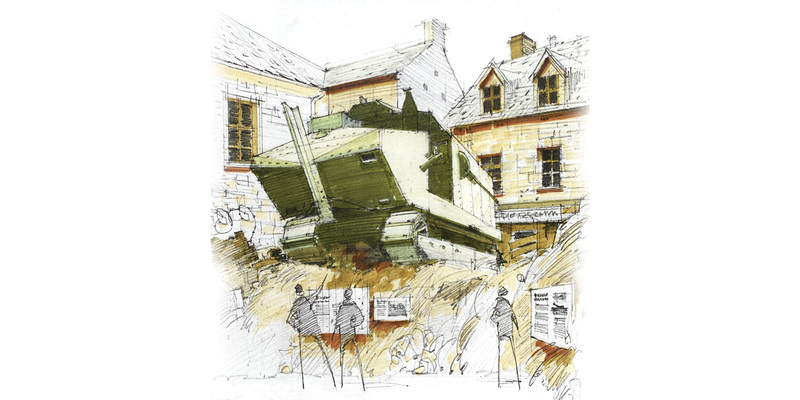 Our design partially recreated the village with shelled buildings, trenches and a full-size replica of a Schneider tank, stuck overhead above a trench. 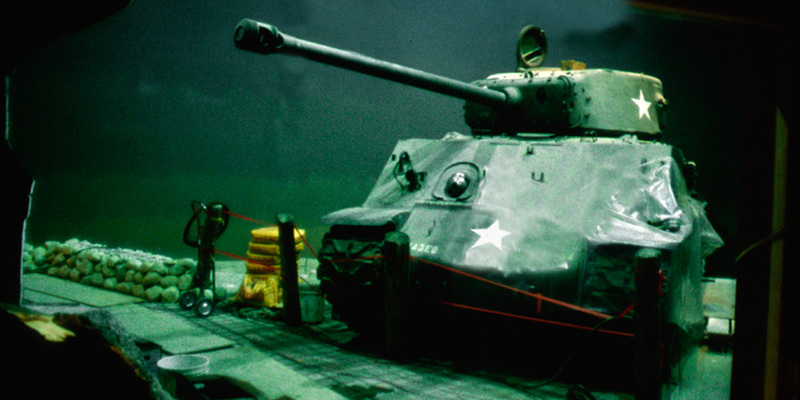 In WWII, Omaha Beach was a devastating battleground. 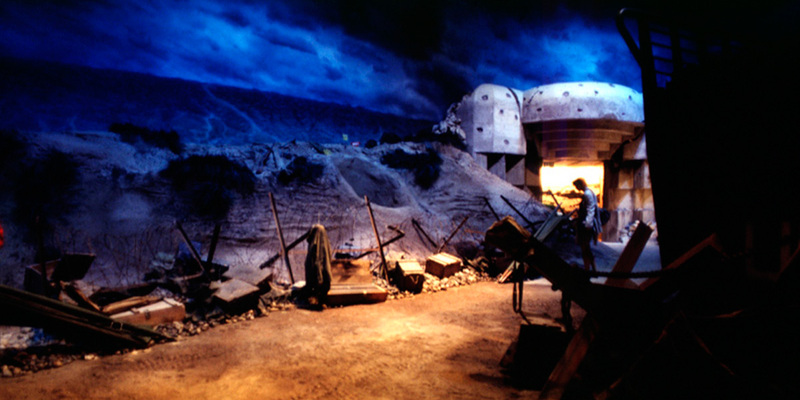 We represented it by a large, open diorama, including the bows of two troop carrier vessels and a landing barge. 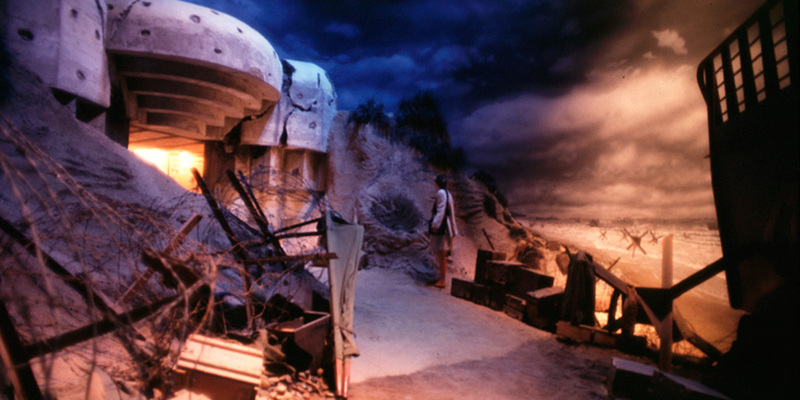 To access the Omaha Beach diorama, the visitor must go through the video theatre located in a landing barge squeezed between two troop carriers. The screen is the raised ramp of the barge. When the dramatic presentation of the actual D-Day landing footage ends, the ramp drops onto the beach and the visitor is compelled to step out. 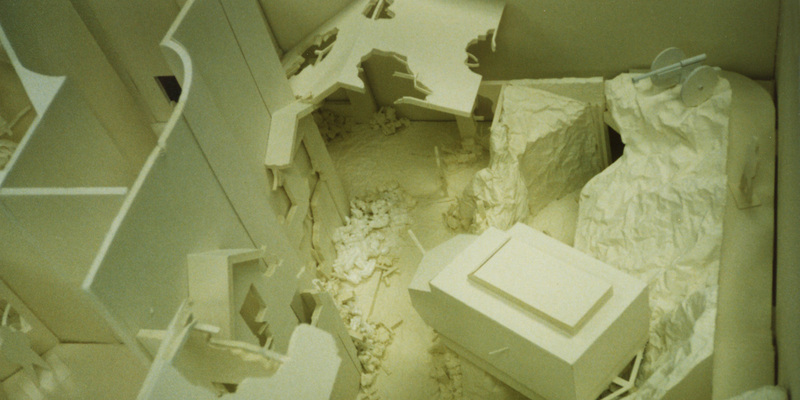 The scene shows the wreckage the day after.